Join Us On This Ride? Already Have A Chapter 258 Account? 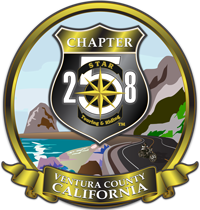 Join us for the Chapter 258 Holiday Party Ride! Join us for the Monthly Meeting & Ride to on Saturday, December the 15th, that will take us about 0 miles. Starting at Grinders in Moorpark at 0600pm, our Ride Captain, Danny, will lead us safely through the roads and have us back around 1000pm. The Chapter 258 Holiday Party is open to all Chapter 258 Members. It will be a Pot Luck Dinner and Gift Exchange, so please save the date on your calendar. All Chapter Members will also receive a separate invitation with a list of food dishes to bring and the location for the Holiday Party. We will do a gift exchange, no alcohol gifts please. There will be a separate evite invitation sent out via email.